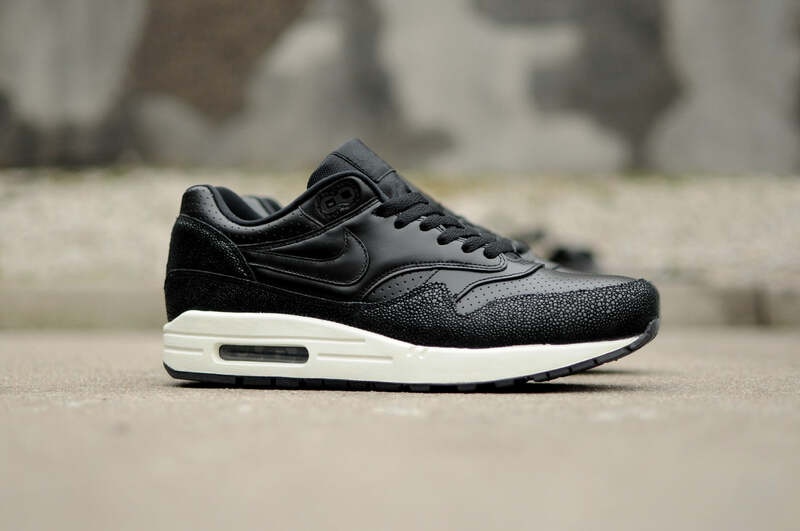 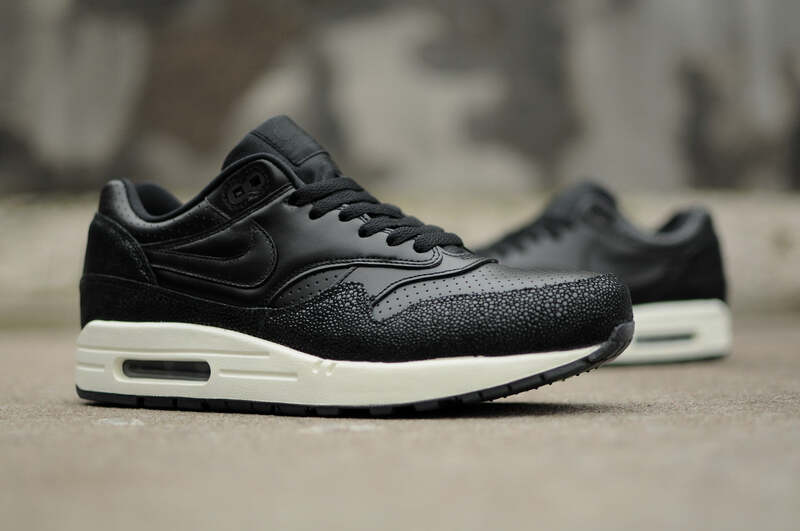 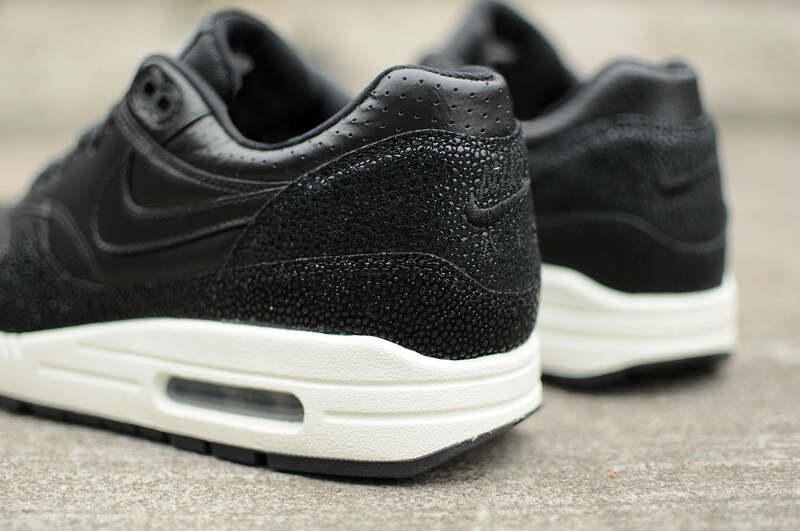 With ‘Air Max Day 2015’ looming, Nike introduce the Air Max 1 in an premium leather make up. 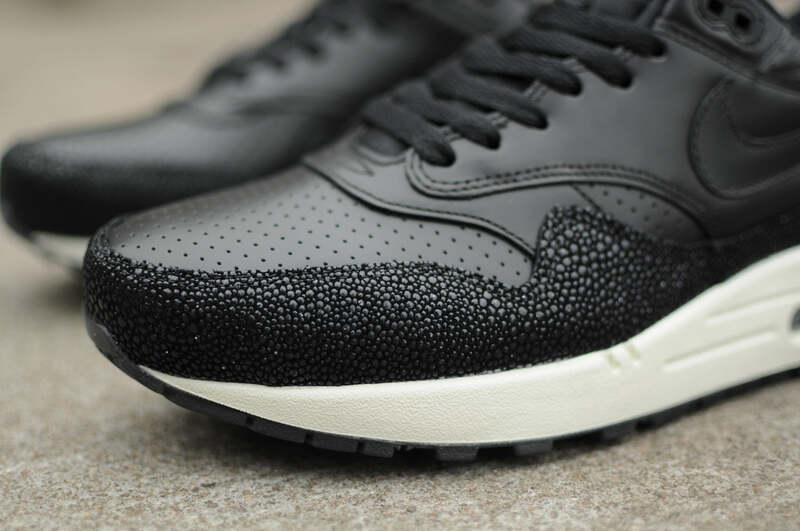 Stingray textured overlays compliment the predominately black upper while perforated leather panels appear on the toe and collar. 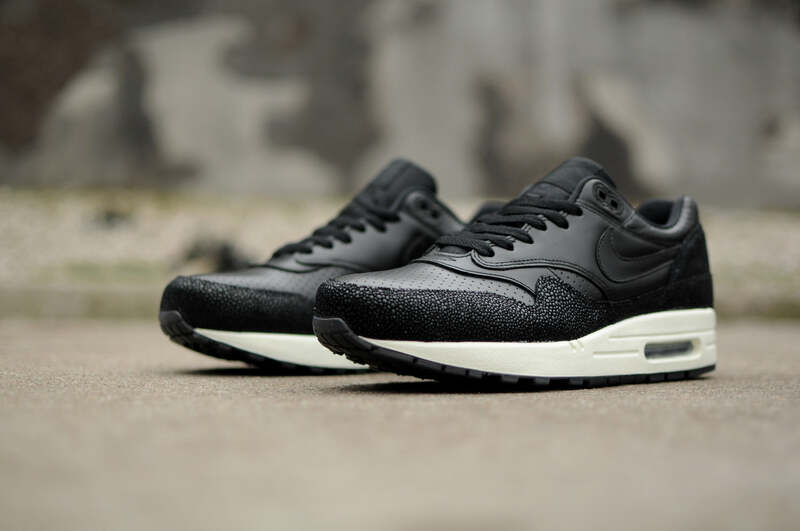 Juxtaposed against the blacked-out upper sits a white midsole with Nike’s iconic encapsulated visible air unit in the heel.